The Tribeca Film Festival brings Tribeca Interactive & Interlude: A Music Film Challenge in collaboration with The Lincoln Motor Company to Genero’s community of filmmakers. This challenge gives today's storytellers an unprecedented opportunity: to re-imagine storytelling for the digital age by creating interactive music films for Damon Albarn. To participate, filmmakers will use Treehouse – Interlude’s self-service authoring suite – to create an interactive music film for the song 'Heavy Seas Of Love' from Albarn’s new studio album ‘Everyday Robots’. With Treehouse's simple and intuitive interface, participants can design their interactive music films in a multi-branch, multi-layered, tree-structured style, which will allow viewers to play an active role in the storytelling process. The finalists’ films will be showcased as part of the Tribeca Online Festival and displayed throughout 2014 Tribeca Film Festival official venues and lounges via interactive kiosks, in addition being made available on the Challenge website. Deadline for submissions is March 27th, 2014, 23:59 GMT time. Damon Albarn and Aitor Throup, Creative Director for ‘Everyday Robots,’ along with an esteemed jury, will select one winning filmmaker who will receive $10,000. They will also receive travel to New York, including accommodation, and tickets to attend and be showcased at the 2014 Tribeca Film Festival (April 16 – 27). Damon Albarn is a singer, songwriter, producer and composer whose eclectic musical style and observational lyrics have made him one of the UK's most influential and consistently interesting musicians. The singer with blur and Gorillaz, he is the recipient of four Brits, two Ivor Novello Awards and a Grammy Award. Damon Albarn’s new studio album – his first solo record – titled 'Everyday Robots' will be released by Warner Bros Records on 29 April. Pre-order the album & get Everyday Robots single instantly: smarturl.it/itERalbumdeluxe. 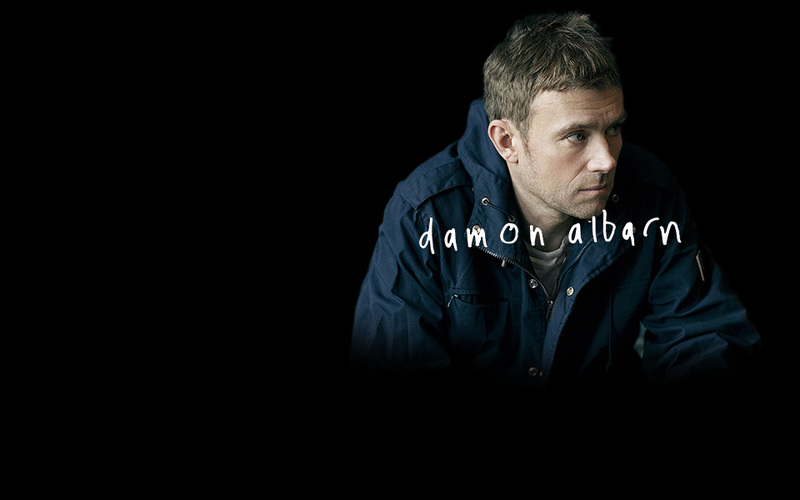 Damon Albarn is a singer, songwriter, producer and composer whose eclectic musical style and observational lyrics have made him one of the UK’s most influential and consistently interesting musicians. The singer with blur and Gorillaz, he is the recipient of four Brits, two Ivor Novello Awards and a Grammy Award. Outside of blur and Gorillaz, Albarn has a number of other releases, including Mali Music (2002), The Good The Bad and The Queen (2006), Monkey: Journey to the West (2007), Kinshasa One Two (2011), Rocket Juice & The Moon (2012) Dr Dee (2012) and Africa Express Presents: Maison Des Jeunes (2013). Albarn’s first full-length opera composition, Monkey: Journey to the West premiered at Manchester International Festival in 2007. Created in collaboration with Jamie Hewlett and Chen Shi Zheng, Monkey was performed entirely in Manadrin and went on to show at the Royal Opera House, the Théâtre du Châtelet in Paris, and the Spoleto Festival in Charleston. His second opera Dr Dee, co-created with Rufus Norris, premiered at Manchester International Festival in 2011 to widespread critical acclaim ahead of a successful run at ENO’s London Coliseum this summer. 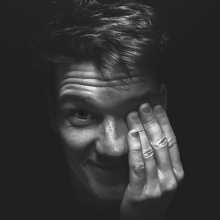 He is co-founder of record label Honest Jons and has also produced music for Gorillaz, Amadou and Mariam, written music for the film soundtracks to 101 Reykjavik, Ravenous and Broken, and most recently co-wrote and co-produced Bobby Womack’s critically acclaimed album The Bravest Man In The Universe. In 2007, he performed on the Park Stage at Glastonbury as part of Africa Express ¬ a collective of African and Western musicians founded by Albarn which toured the UK aboard a train as part of London 2012 Festival, and in October last year Africa Express musicians and producers travelled to Bamako, Mali to record an album titled Africa Express Presents: Maison Des Jeunes over 7 days with a new wave of contemporary Malian musicians. Damon Albarn's new studio album – his first solo record – titled 'Everyday Robots' will be released by Warner Bros Records on 29 April. Pre-order the album & get Everyday Robots single instantly: smarturl.it/itERalbumdeluxe. By creating an Account, accessing, using or participating in the Genero Services, in any manner whatsoever, you agree to be bound by these Terms, (and with respect to the Challenge, the applicable Additional Terms), as well as by the other applicable documents specified in Clause 3 below, and by all other applicable operating rules, policies and/or procedures that may be published by Genero from time to time anywhere on the Website including the Project Page, each of which is incorporated by reference and each which may be updated by us from time to time without notice to you. If you do not agree to any of these Terms, do not access or use the Genero Services. You agree that your use of the Genero Services after any such change will be subject to, and you will comply with, the revised Terms subsequent to that change. Please be sure to check the Terms regularly for updates. In addition, from time to time a Project may include certain additional material terms and conditions (“Additional Terms”) that are unique to that Project and which may supplement these Terms. In such an instance, the relevant Project Additional Terms will be made available on the Project Page for the Project to which they pertain and participation in that Project will be subject to accepting those Additional Terms. By participating in the Project you will be bound by both the Additional Terms and these Terms. If any of the terms in the Additional Terms conflict with these Terms, the terms in the Additional Terms will govern. Please note that for the Challenge, there are applicable Additional Terms, which are more fully described below. The following additional terms and conditions (hereinafter referred to as “Additional Terms”) govern the use of Genero Services and Interlude Treehouse Technology with respect to the Challenge. As specified in Genero’s Terms available here and also at genero.tv/terms, these Additional Terms are unique to this Project and are supplementary to Genero’s standard Terms, and supersede them in the order of priority. Any terms which are used with initial capitals in the body of these Additional Terms but which are not defined shall have the meaning assigned to them in the Terms. The objective of this Challenge, administered by Genero and Interlude US, Inc. ("Interlude"), is to give Filmmakers, such as yourself, the opportunity to create and submit Interactive Videos by using Genero's Services along with Interlude Treehouse Technology (as such terms are defined below), each of which will be synchronized with one (1) of the three (3) available tracks (each a “Song”), as listed on Genero's website. This Challenge is additionally supported by Tribeca Film Festival NYC, LLC (“TFF”) and Team Detroit Inc. d/b/a Hudson Rouge as agent for Ford Motor Company d/b/a The Lincoln Motor Company (“Lincoln”), and as such, certain rights granted and warranties made by you (whether as a User or a Filmmaker) in connection with the Challenge will also extend to TFF and Lincoln. An "Interactive Video" is a Video which allows end-users to interactively compose personalized versions of such video through use of certain Interlude proprietary interactive video software, developed and owned by J.B.F Interlude 2009 Ltd., Interlude's parent company ("Interlude IL" and "Interlude Player Technology", respectively). In order to create and submit an Interactive Video for the Project, once concluding your Project registration process on Genero's website, Interlude will grant you with the limited, non-exclusive license to use its proprietary online tool for creating and publishing Interactive Videos ("Interlude Treehouse Technology") and to use certain services related therewith ("Treehouse Services"). You will also be required to register as a member and create an account for personal use with Interlude Treehouse Technology. By registering as a member, creating an account, and/or by using Interlude Treehouse Technology and the Treehouse Services in any way, you accept and agree to be bound by the Treehouse Terms of Service. If you do not agree to any of the terms and conditions under Treehouse Terms of Service, you are not permitted to use Interlude Treehouse Technology and any of Treehouse Services. With respect to any Interlude related matter, in the event of any inconsistency or conflict between the terms of the Additional Terms, the terms of Genero’s standard Terms, and Treehouse Terms of Service, the terms of Treehouse Terms of Service shall prevail. With respect to any Genero related matter, in the event of any inconsistency or conflict between the terms of the Additional Terms, the terms of Genero’s standard Terms, and any terms of Treehouse Terms of Service, the Additional Terms shall prevail. Neither TFF nor Lincoln is responsible for the collection, submission or processing of Interactive Videos, the administration of the Project or the selection of Winning Videos. Any and all representations, warranties, undertakings, waivers and releases provided by Filmmaker to Genero under Sec. 7 to Genero's Terms are hereby additionally provided to Interlude, and excluding Sec. 7.3(j), also to TFF and Lincoln under these Additional Terms, and any reference to Genero in Sec. 7 of Genero's Terms are hereby extended, mutatis mutandis, to also include Interlude, and excluding Sec. 7.3(j), also to TFF and Lincoln. The provisions of Sec. 8 to Genero's Terms of Services would apply, mutatis mutandis, with respect to Interlude. Applicable provisions within Sec. 8 of Genero’s Terms with respect to prizing in connection with the Challenge are further subject to the provisions of Section H of these Additional Terms. In connection with this Challenge, each Filmmaker hereby grants to Genero, Interlude, TFF and Lincoln (collectively, "Licensees") an irrevocable, perpetual, and non-exclusive (but exclusive until the Challenge has concluded and all “Winning Videos” (as defined below) have been announced, per Sec. 10.4 of the Terms) license to: (i) host (applies only to Genero and Interlude), embed and, display and make the Interactive Videos available on their websites and, social media channels (applies to all Licensees), and make available on their respective embeddable Video players (applies only to Genero and Interlude); (ii) use the Interactive Videos for promotional purposes including showreels; (iii) prepare, display, publish and present a demo of each Winning Video (which may be presented as either an Interactive Video and/or in a linear Video format in accordance with the terms of E(v) herein) in connection with the promotion of the Challenge and the Winning Video(s); (iv) to promote the Challenge in all media permitted by the Artists/Labels, whether now known or hereafter devised, including, without limitation, using excerpts from the Interactive Videos and producing live presentations of the Winning Videos (whether as an Interactive Video or in a linear Video format in accordance with the terms of E(v) herein); (v) host, embed, display and make available linear versions of the Interactive Videos (applies to Genero only) for distribution after the end of the Project (i.e., once the Winning Videos have been publicly announced) and only on such sites and such other media that don’t support the Interlude Player; and (v) present the Interactive Videos via web-enabled kiosks onsite at official venues of the 2014 Tribeca Film Festival. Each Filmmaker also hereby grants to the Licensees an irrevocable, perpetual and non-exclusive license to use the Filmmaker’s name, voice, quotes, biographical information, and (as applicable) likeness in connection with the Challenge, including, without limitation, in press releases, finalist and/or winner announcements, and in other promotion and marketing activities and materials in connection with the Challenge. Following the conclusion of the submissions period for the Challenge (March 27, 2014 at 23:59 GMT), a judging panel made up of representatives from Genero, Interlude, and Lincoln and the Artist will judge all Interactive Videos for each Song to select up to fifteen (15) finalists (each a “Finalist”) (for clarity, the judging panel may select a different number of Finalists for each Song). In determining the Finalists for each Song, the judging panel will judge the Interactive Videos based on the following criteria: one-third (1/3) artistic interpretation of the Song, one-third (1/3) demonstration of filmmaking skill and one-third (1/3) creative use of the Interlude Technology. The determination of the Finalists will be made by the judging panel in its discretion and such determination will not be subject to challenge or appeal. On or about March 31, 2014, Genero will notify the Finalists using contact information provided through their respective Accounts, and in accordance with Genero’s notification policies as set forth in the Terms. In addition, if the Licensees elect, the Finalists may also be disclosed in a public announcement, either at the time the Finalists are selected or at the time the Winning Videos are announced. References to Genero in any provisions of Sec. 11 (excluding 11 (e)) to Genero's Terms that are not otherwise superseded by this Sec. F of the Additional Terms are hereby extended, mutatis mutandis, to include Interlude, Tribeca and Lincoln. Following the selection of the Finalists, three (3) juries, each made up of the performing artist of the applicable Song and one or more music, film and/or digital industry experts, will judge the applicable Finalists to select one (1) Winning Video. In determining the Winning Video for each Song, the applicable jury will judge the Finalists based on the following criteria: one-third (1/3) artistic interpretation of the Song, one-third (1/3) demonstration of filmmaking skill and one-third (1/3) creative use of the Interlude Technology. However, to the extent the applicable performing artist and the remainder of their respective jury disagree on the Winning Video, the performing artist’s decision will control. The determination of the Winning Videos will be made by the applicable jury in its discretion and such determination will not be subject to challenge or appeal. On or about April 13, 2014, Genero will notify the Filmmakers of the Winning Videos (each a “Winning Filmmaker”) using contact information provided through their respective Accounts, and in accordance with Genero’s notification policies as set forth in the Terms. -	a two (2) day/ two (2) night trip for each Winning Filmmaker to New York City, New York to attend select events during the 2014 Tribeca Film Festival, provided by TFF. The trip includes (i) round-trip coach airfare for each Winning Filmmaker between the major airport that is nearest to such Winning Filmmaker’s residence and New York City; (ii) two (2) nights’ hotel accommodations for each Winning Filmmaker at a hotel determined by or for TFF; and one (1) Hudson Industry Pass for each Winning Filmmaker to attend select events and screenings at the 2014 Tribeca Film Festival, subject to the terms and conditions for Hudson Industry Pass holders*. Each Winning Filmmaker may be given access to attend additional events and/or screenings at the 2014 Tribeca Film Festival, but only in TFF’s sole discretion. *Hudson Industry Passes cannot be transferred or resold and require a valid photo ID; they provide the pass holder with access for one (1) to: 2014 Event general public screenings and matinee screenings (excluding all invitation-only events); Industry panel discussions and events; official 2014 Event hospitality lounges; Tribeca Drive-In® events and Tribeca Drive-In® reserved seating; press and industry screenings; priority access to the official 2014 Event “Screening Library” to view available participating 2014 Event films on video/DVD (if produced by TFF; hours and location determined by TFF). The total approximate retail value (“ARV”) of each grand prize is Twelve Thousand Seven Hundred U.S. Dollars (USD$12,700). The Filmmaker agrees to defend, indemnify and hold harmless Interlude, TFF and Lincoln, and each of their respective affiliates, subsidiaries, and parents, and each of their respective officers, directors, employees, authorized representatives and agents, from and against any and all third party claims, damages, obligations, losses, liabilities, costs, debts, and expenses (including but not limited to attorney's fees) arising from: (i) the violation of any term of these Additional Terms; (ii) the violation of any third party right, including without limitation any proprietary or intellectual property right and/or privacy right; and (iii), for Interlude, any damage of any sort, whether direct, indirect, special or consequential, the Filmmaker may cause to any third party with relation to Interlude Treehouse Technology and the Treehouse Services. This indemnification obligation will survive these Additional Terms. Notwithstanding Sec. 22.2 of the Terms, any Interlude, TFF and/or Lincoln matter shall be construed and governed in accordance with the laws of the State of New York, where the applicable courts in New York shall have sole and exclusive jurisdiction over any dispute under these Terms and Additional Terms or otherwise related, as applicable, to Interlude Treehouse Technology, Interlude Player Technology, the Treehouse Services, TFF and/or Lincoln. Otherwise, the Terms, these Additional Terms and any Genero matter shall be construed and governed in accordance with the laws of Victoria, Australia, where the applicable courts in Victoria shall have sole and exclusive jurisdiction over any dispute under these Terms and Additional Terms or otherwise related to Genero. Payment means a cash payment (or non-cash compensation) that is offered to the Filmmaker who submits the Winning Video, as set out on the Project Page, which sometimes includes runner-up and finalist Videos. 8.9 Unless stated otherwise, Genero will pay cash Payments to your PayPal account. All cash Payments are subject to any applicable fees, charges or currency exchange fees. Genero reserves the right to make cash Payments via alternate methods, at its complete discretion. 9.5 Because your Video may be used as an official promotional video by the Client, you must use the full length of the song in your video, not an excerpt from it. 16.1 Genero provides Briefs to facilitate the connection of Filmmakers with Clients and vice versa. After a Client has chosen a Filmmaker to work with via the Brief, Genero does not get involved in the ongoing communication, video production or billing and payment process and has no liability for any element of these activities, or the use of or participation in the Brief. 16.2 Genero highly recommends that the Parties agree all detail via a formal contract before proceeding, including (but not limited to) budget, location, timing, talent, progress payments, insurance, video specifications and all other deliverables. Whilst Genero will endeavour to help where it can, Genero does not and will not mitigate or arbitrate in the case of any dispute between the Parties. (h) It is the Client’s responsibility to request Release Forms of the filmmaker and check them to the Client’s satisfaction. Everyday Robots: First solo album from Damon Albarn. Available in the US from April 29. Pre-order album & get Everyday Robots single, Lonely Press Play and Heavy Seas Of Love instantly: http://smarturl.it/itERalbumdeluxe. Journey of a little robot through the worlds of motion graphics and motion designs.